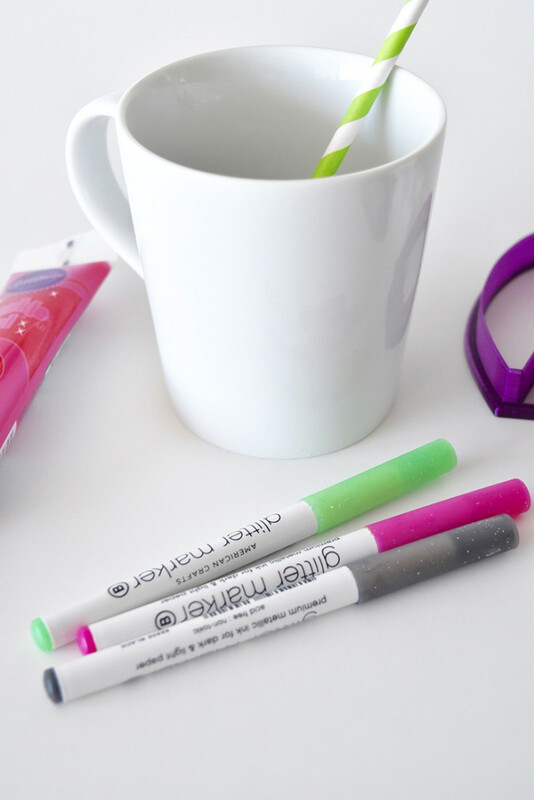 When it comes to crafting with the kids, I don't always have the time to brainstorm new, creative ideas. SO...sometimes I have to cheat and grab ideas from Pinterest. BUT...I have no patience. SO...often me + crafts + kids = FAIL. Now any way you cut it, when a Jew attempts an Easter craft...you're taking a gamble. Last week we had Mazzy and Harlow over for a playdate and I wanted all 4 kids to make these bunny cookies and milk. How hard could this be, right? And it would make for an awesome 3 in 1: craft, snack and drink! Turns out....this little project was VERY HARD! I whipped up a "no fail" recipe of sugar cookie dough. Guess what? I FAILED. I mis-measured the flour, don't ask (!!) and ended up losing count of how much flour I used. The dough was too sticky and when I cooked it I couldn't get an even golden color. The cookies were turning out very brown in spots. With the bunny ear cutters that we found on Etsy I thought, well OK. At least the bunny ears will look adorable on a mug! They would have...but the opening would expand with the heat in the oven....and when I tried to put a cookie on the rim of the mug and the cookies broke. I found 4 cookies that worked. That was it. I made about 100!! Ok moving on...the icing? Forget it. I don't even want to talk about how ugly my frosting looked. I'm not an artist. a.) 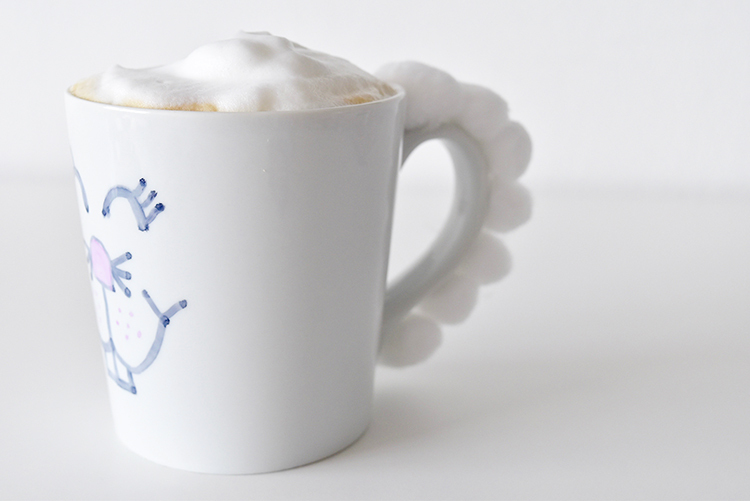 Cotton balls hot glue gunned to the rim of the mug. b.) 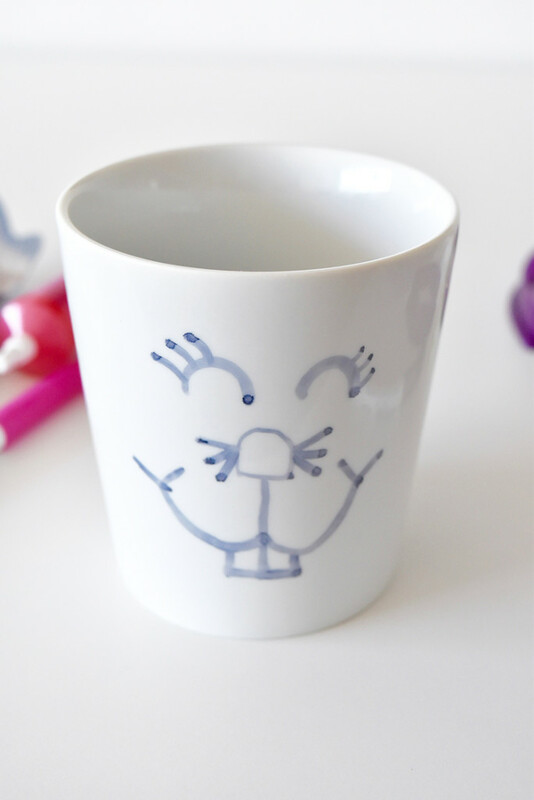 Draw on a cute little bunny face. c.) stick a straw in it. Happy Easter crafting! Hope your creations are way cooler and easier then this bomb!